Now that you're signed up and looking forward to the start of moustache season it's time to learn the tools of the trade. We know it's hard to contain your excitement, but preparation is the key to success, so use this time wisely to educate yourself and get ready to Mo. 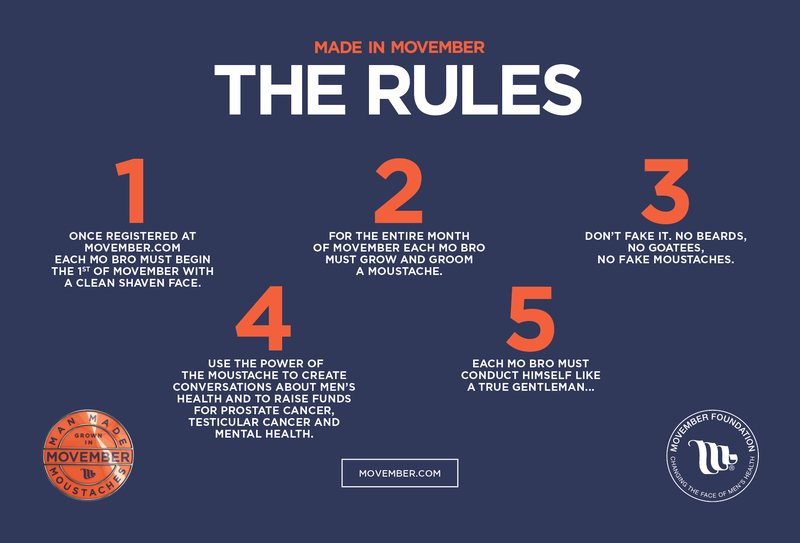 Anything worth doing is worth doing right, so make sure you read the official Movember Rules. Not only will you be one step closer to unlocking your Ready to Mo Badge in your Mo Space, but you'll become an expert in the right way to Mo. Next Step: Choose your Style.